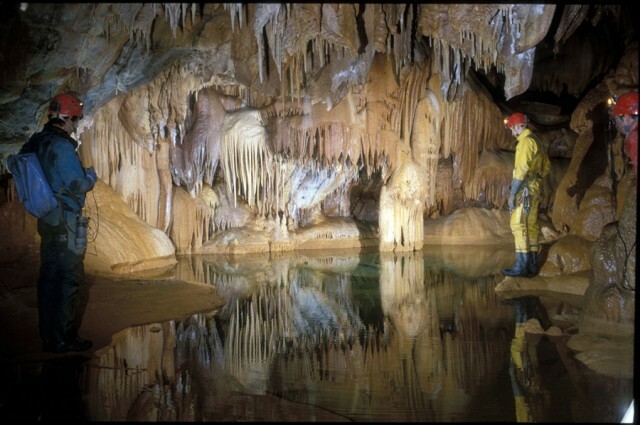 On the highs of Saint Pons de Thommieres ( Herault) , in the marble massif of the “Devonien de la foret noire”, is developed a large part of the underground of Jaur like the Deveze or Roquebleu cave . 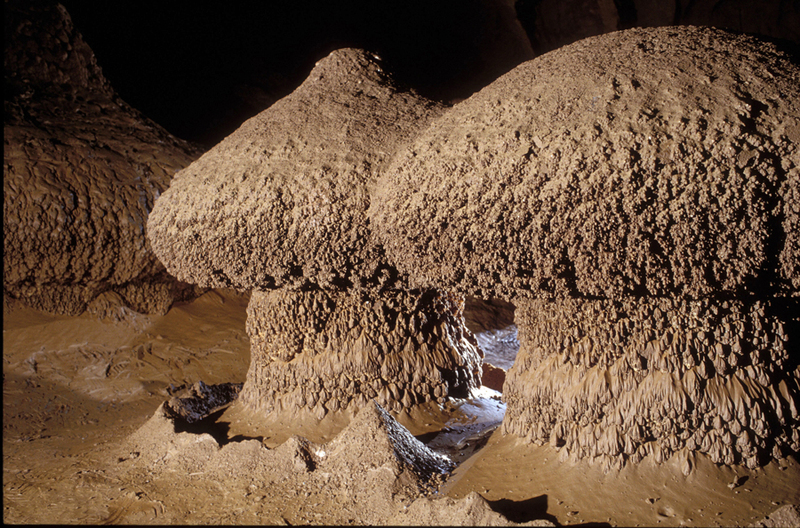 Discovered in 1955 by the Speleo club de la Montagne noire and Espinousse, this cave has been explored by the club and also by the S.C of Saint-Pons. Both manage the site. 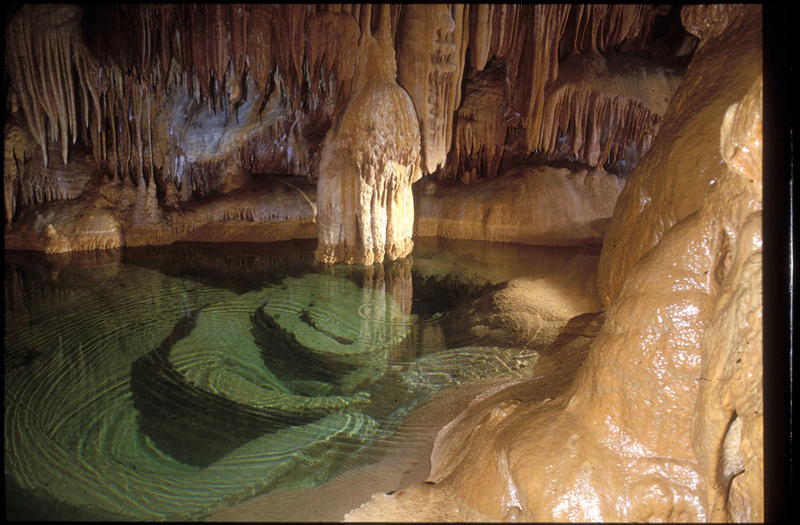 The Lauzinas cave is one of the most beautiful caves in the south of France. 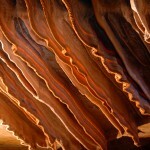 You will find many concretions and fascinating galleries. The colour contrasts are often strong, changing from red purple to a light pink. You will also find the famous ”Mushrooms” made of calcified clay which are still unique today ( 4 only, with one of them as high as 1.25 meters). You will have to take various routes over 3 levels, going through wells or inclined areas. 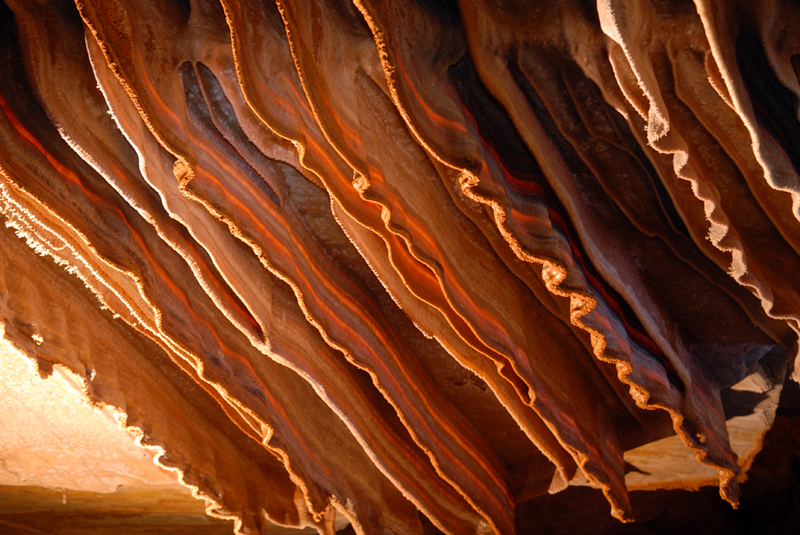 Lots of organic materials gave colour to the concretions: ochre, blue, brown, red. Classified site ( 16/07/96) – 20 visits/year of 10 persons.